← Emily’s Question: What is the Saturn Return? Part Two: here we move from astronomical description to a discussion of the astrological symbolism, core meanings and varying levels of manifestation of the Saturn principle; ending with some concrete examples of people’s actual experiences at the Saturn Return point. And, of course, inviting YOU to offer some examples from your own experience. 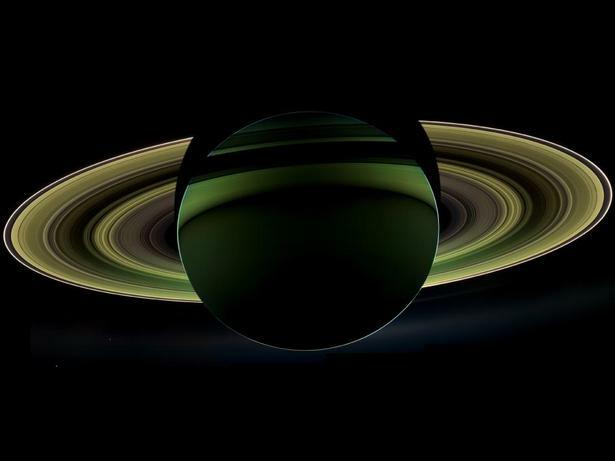 Staying with the astronomy reveals to us where the symbolic meaning of the planet Saturn comes from. Until the 1780s when Uranus was discovered with the aid of modern technology, ie the telescope, only seven planets were visible to the naked eye: Sun, Moon (which is treated for symbolic purposes as a planet) Mercury, Venus, Mars, Jupiter and Saturn. Saturn thus for most of astrology’s history defined the farthest limits and the boundary of the known solar system. It was the ring-pass-not. The astronomy passed into the mythologies of various cultures, in the West appearing as Saturn in Roman myth, Chronos in Greek myth. The figure of the stern old man, carrying a scythe with which to cut down humans who had reached the outer limits of mortality, long ago passed into popular culture where it still pops up in various guises. In astrological symbolism, which has very strong ties with myth as can be inferred from the names of the planets in our solar system, Saturn became, in essence, the drawer of boundaries and setter of limits and definitions. Thus everything in our world which does this: walls, bones(which hold us up), skin (which holds us in! ), structures of all kinds, worldly status and position, all outer forms of restriction, are part of Saturn’s external portfolio of manifestation. At an inner level, fears (which bring psychological limits and restrictions), the ability to set necessary psychological boundaries, determined refusal to be ground down by the world’s and other people’s restrictions, willingness to shoulder responsibility, having a grounded outlook based on realism, all belong to the wide range of characteristics and qualities which arise from the core meaning of astrological Saturn. Even without knowing much astrology, you can probably already see from this the fraught nature of prediction! In my view arising from long experience, a view shared by many other astrologers, it is more constructive first of all to describe to our astrology clients the core meaning of all the planetary symbols and their interactions. In this way they can get an essential grasp of what is taking place on their life’s stage, before we proceed together to explore the range of possibilities which can and do arise from each core meaning, and how the client may be able to move to more positive modes of expression. The return cycle of Saturn completes four key stages of development: age 7/8 years, 14/15, then 21/2, then 28-30. The first stage represents the first steps towards more autonomy and independence from parents and family. The second takes this further, tying in with puberty and all the challenges accompanying it, including defining oneself more via the peer group and less with family of origin. The third should represent a further stage of developing autonomy via completing one’s education and entering the world of work and perhaps more committed relationships. I hope, as we approach the end of this article, that you can now see why the fourth stage, ie the first Saturn Return at 28-30, is a major turning point in the process of becoming an adult: still (ideally….) connected by bonds of love and responsibility to parents and family, but having established an adequate degree of personal autonomy. It symbolises the completion of the first cycle of growth and maturation. The determinants of the Saturn Return apply not just to human beings, the focus of this discussion, but to anything born in a moment in time and completing its first cycle of formation and definition. Partnerships of a personal and business nature, marriages (does the seven-year itch now make more sense?! ), friendships, educational institutions, Facebook, restaurants, yoga studios, banks, chain stores, you name it, all face the same essential challenges at each stage within the cycle as well as at its completion. It is not possible amid the messes, fudges and failures of an average human life to achieve perfect completion of any life stage. The point is to have made a good enough job of the Saturn Return transition to find yourself standing on a firmer and more realistic foundation to your life after the Return, than you had before it. Coming back to the point I made that many branches can and do arise from the same core of any astrological symbol, people make changes or have changes thrust upon them which on the surface seem very different. Here are some from my experiences of observing students’ and clients’ lives over the years: career changes, marriage/committed partnering, divorce, birth of a child, relocation to other countries, retraining, going back to education, religious conversion, loss of religious faith/atheism, retreat from the world for a period of time in different contexts, taking on promotions or greater responsibility. No doubt you can think of some more yourselves as you read this and think about the people you know. In writing this article I have focused purely on the core features of the Saturn Return, which apply to everyone and everything born or begun. 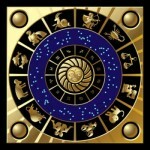 A great deal of individual fine tuning can of course be done with a properly drawn and calculated horoscope which needs the date, place, and vitally important TIME of birth. You readers out there will, I hope, have your own variation on this core theme of separating out from what you are not in order to become more fully who you are. It would be great if you felt willing and able to share your experiences with this new learning community at Astrology: Questions and Answers. This entry was posted in Saturn and the Saturn Cycles (9 articles ) and tagged Astrology, Facebook, Jupiter, Planet, Planets in astrology, Saturn, Saturn Return, Uranus. Bookmark the permalink. This isn’t directly related to the Saturn Return, but your post raised another question for me. If the earth’s moon is treated for symbolic purposes as a planet, what about the moons of other planets, like Saturn? After all, Saturn has 62 moons (although not all are named and some are quite small). Still – that’s a lot of stuff whirling around out there! Yes, a fair enough question! You have stimulated me to write a short answering post, which will be winging its way to your inbox shortly…. As a sun capricorn with saturn on the MC, having seen off a couple of Saturn returns I think I have perhaps now got a handle on it!!! I see the Saturn cycle rather like a bike wheel where the bike is moving forward as the wheel rotates rather than the wheel just turning in mid air with the wheel lifted off the ground. I would like to think I have learned a bit with each return and am now further down the road as it were. It hasn’t always been easy to say the least but I hope I am better for the experience and a good deal stronger and more able to deal with what comes my way in the future. great to get the perspective of a hardy second Saturn Return survivor! Yes, with a bit of effort, ability to laugh at oneself and patience, one’s ability to manage life generally improves, doesn’t it?